Who and How Does The Price Of Gold Gets Determined? Ever since the Egyptians first smelted gold over 5,600 years ago, people around the globe have adorned themselves with it, traded it, and gone to war for it. Today is no exception – it’s prized for its beauty, used to power an enduring jewelry market and, on a wider basis, used by both governments and individuals to protect their investments against devaluation and deflation. With such a glowing history, it’s no surprise that you might be thinking about investing in gold youself. Today, we’re going to share 5 things you need to know before taking the gold investment plunge. 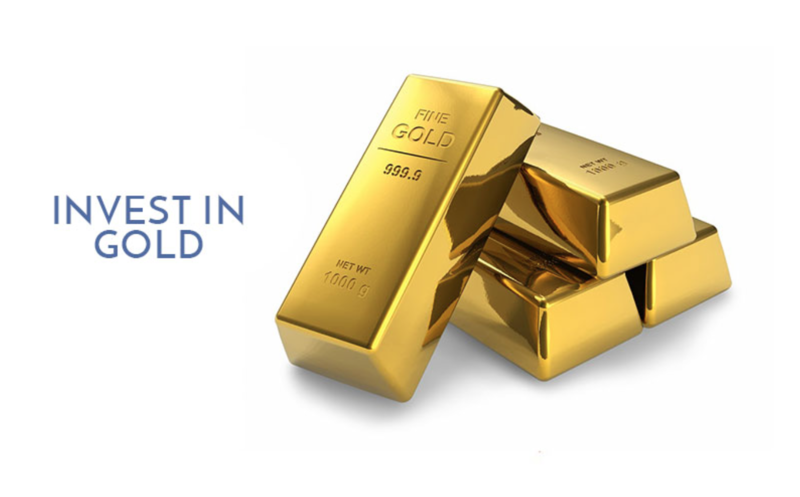 We live in uncertain times and, because of that, many investors rely on gold as a “safe haven” investment, as it keeps its value when other types of investment are sunk by poor market conditions. Gold doesn’t lose value as quickly as currency does, so when investors fear that prices are falling, they buy gold to buoy their portfolios and protect against losses. Gold is strong – but finite. Bearing this in mind, some researchers feel that we’ve already reached peak gold levels, and it’s true that gold production has declined from around the year 2000. Those in the know claim that all the “easy” to reach gold is gone, and what’s left is much harder to access. This means that mining gold is more dangerous and time-consuming and this, paired with wellbeing and environmental concerns, means that production levels are likely to keep tanking, pushing the price up as a result. Despite gold getting rarer, there is still an incredible number of people who fancy getting in on the modern gold rush action. Across the world – but specifically in the US – there are various organizations dedicated to helping amateur miners live their gold rush dreams, while a hugely popular Discovery TV series – Gold Rush – brought modern-day explorers to a whole new audience. It’s not just supply and demand that pushes up gold prices. The world’s central banks have recently started to shore up their gold reserves, buying more gold than they are selling for the first time in a long time. This move might be brought about by that global instability we spoke about but, either way, as the central banks sell their vast stocks of paper money and buy gold with the proceeds, the price of gold continues to rise. Add this to the fact that industrial and jewelry sectors have a growing appetite for gold, it’s no wonder that prices continue to creep up. When you think about investing in gold, the gold bullion option is probably the one floating around your head. This involves buying actual gold bars or coins and usually storing them in a metal depositary. The upside to this is that the gold almost always increases in value, while the downside is that on any given day, the spot value – as opposed to the futures value – can be lower or drop. These special coins are literally worth their weight in gold, while also having a rare and collectibles value. This aspect is of great interest to many people, who enjoy tracking rare ones down and trading and buying with other collectors. As it’s a collector’s market, you’ll need a good knowledge of numismatic coins to ensure you’re getting the most from your transactions. Possibly the least exciting of your three options, gold stocks are nonetheless very valid. The stocks are tradable securities where you indirectly own a percentage of the profit of the gold being sold. You trade these stocks like you would any other, selling and buying depending on the daily prices. The upside to these stocks is that you won’t have to pay for the storage of the gold bullion, or put in the legwork of the numismatic coins. On the downside, you’ll never be able to trade them directly for gold, and you’ll have to put up with significant market volatility. Gold has been around for centuries – literally – and isn’t going away anytime soon. With prices likely to only rise over time, it’s easy to see why gold is considered a very solid investment bet. As ever, if you think gold is the investment for you, make sure you speak to someone familiar with the market before making any decisions and also check the current gold prices.